The week will start with a good show, but it looks like it’s heading down hill after that. My guess is that it’ll take some really fine sandpaper and a lot of polish to make this week shine. The Valdez Star has published a piece on the e-mail under Speaker Mike Chenault’s name that refers to a proposal by Valdez Mayor Dave Cobb that had been sent to Governor Parnell. Chenault had received a copy of the proposal as a courtesy. It’s a little more than forty years late, but we still have time to catch up. 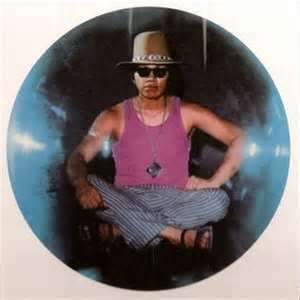 Although Sixto Rodriguez hasn’t made an album since 1972, I had never heard of him until Saturday night when I saw Searching for Sugar Man – nominated for an Oscar in the documentary category this year. Here’s a sample of the music we missed when it first was on the streets. Everyone missed Rodriguez back then. We were listening to Bob Dylan. Some of us were listening to Phil Ochs. Music critics classified him with Jose Feliciano. We were all ignorant and really wrong. It’s not too late though. Rodriguez is on the road now and is thinking about a new album. Amazon has both of the ones he did in the 70’s. I didn’t see much worth reviewing during the past week. It was pretty boring, and I’d rather just skip over it. I pity those guys who have to watch the show and treat it seriously. Here’s a complete list of capitol stuff this week. A few things promise to be memorable, though. By that, I mean you might not sleep through them.